Earshot Jazz is pleased to present Chicago drummer, producer, and “beat-scientist” Makaya McCraven in concert on Wednesday, August 8, at The Royal Room, appearing with an incredible Chicago quartet consisting of bassist Junius Paul, guitarist Jeff Parker, and the multi-national multi-instrumentalist Ben Lamar Gay. In a new era of genre-bending music, McCraven pushes the boundaries of sound and rhythm to create categories of his own, which has led to the New York Times dubbing him “one of the best arguments for jazz’s vitality.” Layering his extensive experience with hip hop bands, African dance bands, Hungarian folk music, and indie rock on top of a deep history of straight-ahead jazz, improvisation, and the avant-garde with beats, sampling, and electronics, McCraven creates a unique self-expression. 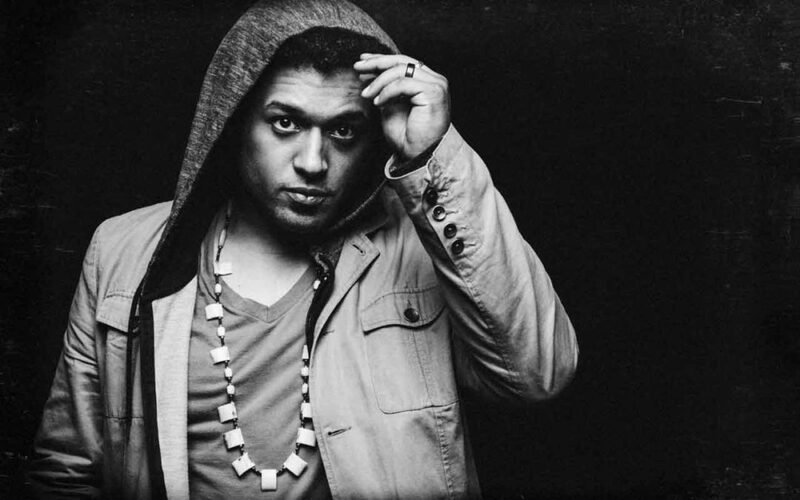 Born in Paris into a musical family, Makaya McCraven quickly became exposed to the world of jazz at a young age enjoying the mentorship of saxophonists Archie Shepp and Yusef Lateef (both friends of his drummer father). His skills as a musician flourished as he worked under some well-known jazz legends, sharing the stage with greats like Charles Neville and Lionel Loueke. In high school, McCraven co-founded a rock hip-hop band called Cold Duck Complex, which had a strong following in the Northeast, even becoming a campus favorite while he was studying jazz at the University of Massachusetts, Amherst. Now living in Chicago, he has become integral to the city’s special jazz scene, including playing with local guitarist Bobby Broom and rising star trumpeter Marquis Hill. His debut album in 2012, Split Decisions, garnered solid praise, but it was his 2015 album In The Moment that was his breakthrough, introducing the world to his unique brand of “organic beat music.” Crafted by McCraven using recordings of free improvisation he collected over dozens of live sessions in Chicago, In The Moment established a procedural blueprint that he has since been refining, expanding, and traveling, most recently on his new release Where We Come From (CHICAGOxLONDON Mixtape), out this summer. The mixtape features free improvisations recorded live in a London venue in October 2017, then remixed by DJs, finally recomposed by McCraven, the end result being a groundbreaking meeting of jazz, improv, contemporary hip-hop, and electronica. McCraven’s quartet for this Seattle appearance embodies history and creative trajectory of Chicago’s remarkable jazz legacy. Defying easy categorization, they are artists who are fluent in a number of categories and curious about all of the rest. This event is sure to be deep, wide, and beautiful. Tickets and more information available at earshot.org.